Share the spirit of Christmas with those who would otherwise have no reason to celebrate. 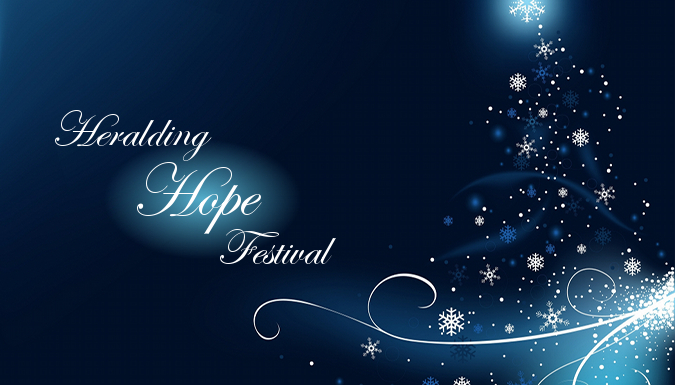 Join us Dec 3rd for the Heralding Hope Festival 2016! This year is a slightly different format than the Festival was last year. Instead of an off-site evening event, we will be at the Streets Alive Mission downtown on Saturday, December 3rd, from 10am to 2pm in the afternoon. Heralding Hope is Family Friendly – so bring your kidlets and your friends. There is no fee to attend, and you will have the opportunity to donate toward specific items used by the Mission every day! Filling “Stuff-n-a-Sock” kits for distributing to those in need. $20 per sock. Pick the ‘stuff’ to fill your sock from supplies provided at the Mission! Lighting the Tree of Hope. Help us light the tree by purchasing bulbs @ $10 each. Christmas refreshments – hot apple cider, hot chocolate, holiday goodies – free for all participants to enjoy! Christmas Cards – create lovely Christmas Cards to share with Streets Alive Mission clients. Drop off bags of Streets Treats. Opportunities to learn more about and donate to the programs of Streets Alive Mission. Drop off donations of jackets, coats, hoodies, shoes, boots, jeans, etc., for the PIN Bank. Cash donations also accepted! This is a volunteer / supporter event and it will be a fun and safe environment to visit and help at the Mission. We look forward to seeing you at the Mission on a day focused on starting the giving season by giving back. For more information, please call Marie at 403-320-1159.